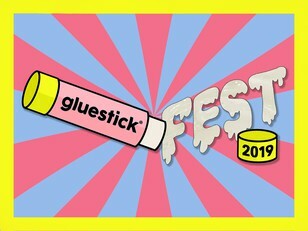 Gluestick, founded in late 2017, is an independent music events organizer and promoter based in Hong Kong. It threw its first show in May 2018 for LA indie-soul trio Moonchild - which was sold-out. Since then, Gluestick has thrown shows for Denzel Curry (Jan 2019, sold out), Phum Viphurit & Mellow Fellow (Aug 2018, sold out) and Snail Mail & Eevee (Oct 2018). This May, a year after its first show with Moonchild, Gluestick will throw it’s first mini-festival. 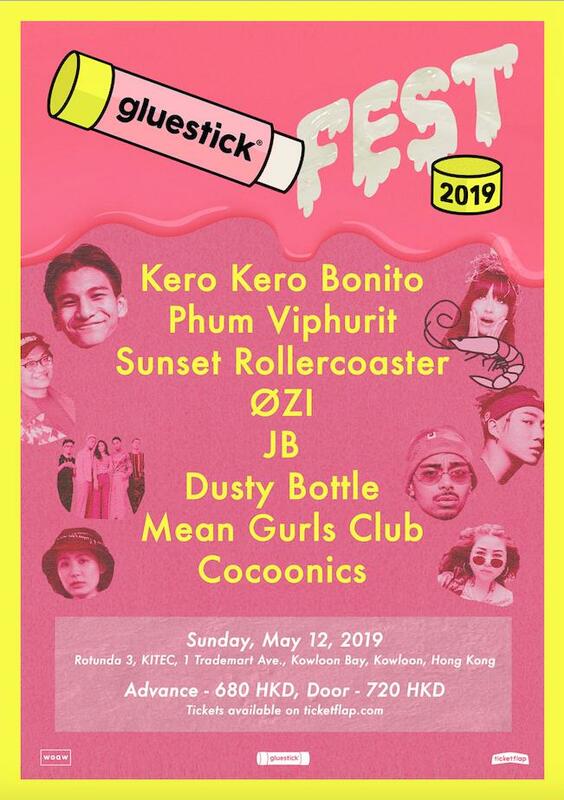 For the inaugural one day Gluestick Fest, it will bring back Thailand’s resident “lover boy” Phum Viphurit for his second-ever performance in Hong Kong. In addition to Phum, the lineup will include Taiwanese indie soul sensation Sunset Rollercoaster 落日飛車 and budding rap/R&B-stars ØZI and more to be announced soon! Phum Viphurit is a New Zealand-raised, Thailand-based artist best known for his songs "Lover Boy" and "Long Gone." He is known for his mellow, funky and soulful approach to alternative indie folk music. The video for "Lover Boy" has gotten nearly 33 million views in under a year, establishing Phum as one of the most exciting up and coming indie acts not just in Asia, but all over the globe. He appears on 88rising’s debut album Head In The Clouds in a remix of his track “Lover Boy” featuring Chengdu’s infamous rap quartet Higher Brothers. In the past, year he has toured all over Europe, North America, Asia and more. He has also appeared on Colors, Vice, HYPEBEAST and many other international media. Sunset Rollercoaster is a Taiwanese indie band comprised of Tseng Kuo-Hung, Chen Hung-Li , Lo Tsun-Lung, Wang Shao-Hsuan, Huang Shih-Weiand Huang Hao-Ting. The band’s release its critically acclaimed debut album Bossa Nova in 2011. However, the band went on long hiatus after and reunited in 2015. Sunset Rollercoaster released its Jinji Kikko EP in 2016, which gained the band an international following. Their music is supported by popular indie music channel alona chemerys. The band has toured all over the world in the last two years and has been supported by popular media including HYPEBEAST, Vice Noisey, Juice and more.